California is in an earthquake drought. It has been almost five years since the state experienced its last earthquake of magnitude 6 or stronger — in Napa. Southern California felt its last big quake on Easter Sunday 2010, and that shaker was actually centered across the border, causing the most damage in Mexicali. Experts know this calm period will eventually end, with destructive results. They just don’t know when this well-documented geological pattern will shift. • In the last 25 years, there have been 11 such temblors statewide. In the preceding generation, there were 32. • In the last quarter-century, there have been three such earthquakes that shook California’s 10 southernmost counties. In the prior generation, there were nine, including the Sylmar temblor of 1971 (magnitude 6.6) and Northridge of 1994 (magnitude 6.7). • The greater San Francisco Bay Area has been particularly quiet. Since the great 1906 earthquake destroyed much of San Francisco, there have been only three earthquakes of magnitude 6 or greater. But in the 75 years before that catastrophe, there were 14, according to geophysicist Ross Stein. Yet they’ve been exceedingly quiet. 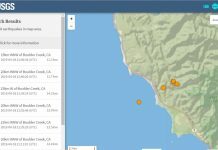 A USGS analysis published in the journal Seismological Research Letters Wednesday finds that, based on an analysis of sites where seismic data are known for the past millennium, the century between 1919 and 2018 is in all odds the only 100-year period in the past 1,000 years where there have been no earthquakes strong enough to break the ground on those three faults. Only sections of the San Andreas, San Jacinto and Hayward faults that have 1,000 years’ worth of data on earthquakes were included in the analysis because the authors needed that data to look for periods of seismic activity and inactivity. Some quakes don’t do that job. The 1989 magnitude 6.9 Loma Prieta earthquake, while near the San Andreas fault, actually occurred on a neighboring sub-parallel strand, according to USGS research geologist Kate Scharer, a coauthor of the USGS study. Earthquakes of 1992 in Landers and 1999 in Hector Mine broke faults at the surface, but didn’t do it at the main plate boundary, Biasi said. In the 1500s, for instance, three major San Andreas fault earthquakes hit along the Grapevine, according to Scharer, possibly all within 30 years. And over the last 1,000 years in the southernmost 100 miles of the San Andreas fault system, there have been three periods of increased seismic activity — between 900 and 1100, 1200 and 1400, and 1600 to 1800, according to Rockwell. In that section, it has been relatively quiet for the last 219 years. Turkey shows how a region can be affected by an above-average rate of earthquakes that persists for generations. A 1939 earthquake was the start of a series of 11 large temblors on the North Anatolian fault lasting at least 60 years, generally moving westward toward Istanbul, according to Stein, chief executive of Temblor.net and a former USGS geophysicist who has written extensively on the Turkish quakes. Sometimes there was a 30-year gap between big quakes; sometimes, only one. 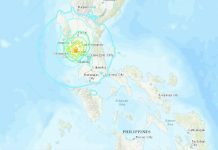 The most recent catastrophic earthquake was a magnitude 7.4 that caused more than 17,000 deaths. The 1999 temblor struck the industrial heartland and densely populated areas. And there’s concern Istanbul is next. “Istanbul has been kind of on tenterhooks ever since the 1999 Izmit earthquake. They have an early warning system. They’ve done billions of dollars of infrastructure upgrades … a good job, considering it’s a very old city with lots of frail buildings,” Stein said. While Istanbul might be on alarm for a future big one, many Californians are out of practice. The last time California has seen an earthquake as powerful as a magnitude 7.8 was in 1857 in Southern California and 1906 for Northern California. No one alive today has first-hand experience with that kind of quake in the Golden State. 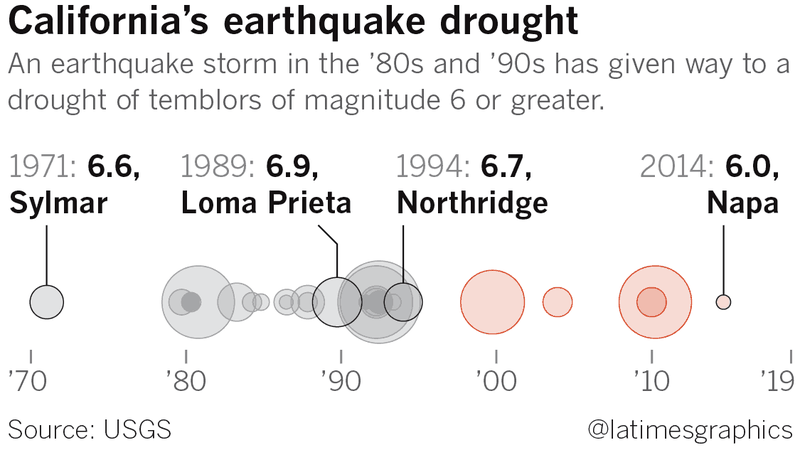 For instance, the magnitude 6.7 Northridge quake of 1994, which severely shook just a fraction of Los Angeles County, would pale in comparison with a magnitude 7.8 quake on the San Andreas. That would produce 45 times more shaking energy than the 1994 temblor, and a plausible scenario would not only send strong shaking to much of L.A. County, but also parts of five others: Kern, Orange, Riverside, San Bernardino and Ventura. “If we had earthquakes as frequently as we had prior to 1906 within the last 50 years, people would be a lot more in tune with what earthquakes can do, and have a lot more interest in earthquake preparedness,” said Tim Dawson, senior engineering geologist at the California Geological Survey. A sudden jump in how often earthquakes come can make recovery difficult. New Zealand’s South Island has faced elevated seismic activity for 16 years — and it’s still not over, even after a magnitude 6.3 Christchurch earthquake of 2011 caused the deaths of 185 people and collapsed many buildings. Four months after the Feb. 22, 2011, earthquake, a magnitude 6 hit southeast of Christchurch; then a 5.8 and a 5.9 on the same dayhalf a year later. Valentine’s Day in 2016 brought a magnitude 5.7 quake. 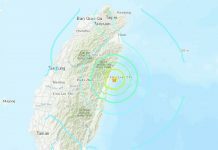 “It’s definitely on the high side of numbers of aftershocks,” said Matt Gerstenberger, principal seismologist for New Zealand’s seismic monitoring agency, GNS Science. That means not only having an emergency plan and supplies, said McBride, now a social scientist for the USGS’ earthquake early warning system, but mentally imagining what that will mean — not just putting a flashlight and shoes next to the bed, for instance, but understanding that will mean dealing with broken glass on the floor and a power outage that may last weeks or more, and planning for how your family will get through it. California! Get prepared for the next Big One! It is around the corner! Home › Forums › California is in an exceptional earthquake drought. The question is when will it end? This topic contains 2 replies, has 2 voices, and was last updated by eckbach 1 week, 6 days ago. Maybe it has something to do with the solar minimum? Anyway, stop talkin’ about it before you trigger one! California is storing tension for the BIG one. Reply To: California is in an exceptional earthquake drought. The question is when will it end?